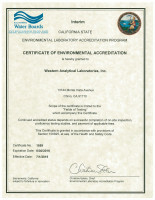 Certified by the State of California Environmental Laboratory Accreditation Program. Experienced staff along with extensive quality assurance allows you to have the maximum confidence in the reliability of the analytical data which is generated. Our team of qualified degreed chemists have a broad range of educational, testing and problem solving capabilities. This, in conjunction with quality instrumentation, provides our clients with the rapid, dependable and accurate results they have come to expect. 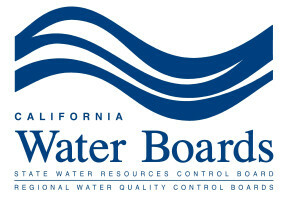 Our clients can draw from over 100 years of combined experience in metal finishing solution process control, industrial wastewater, drinking water, hazardous waste, and the analytical needs and requirements of the state and federal agencies regulating our industries today.